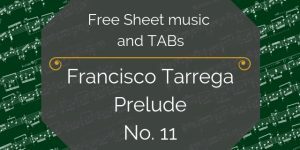 You’ve found the free sheet music and TAB for Lagrima by Francisco Tarrega. 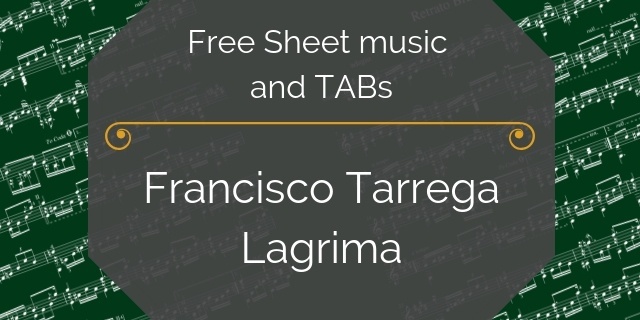 Learn to play the lovely “Lagrima”, by Francisco Tarrega. 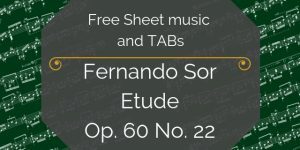 This is one of the most-loved pieces in the classical guitar repertoire, and with good reason. 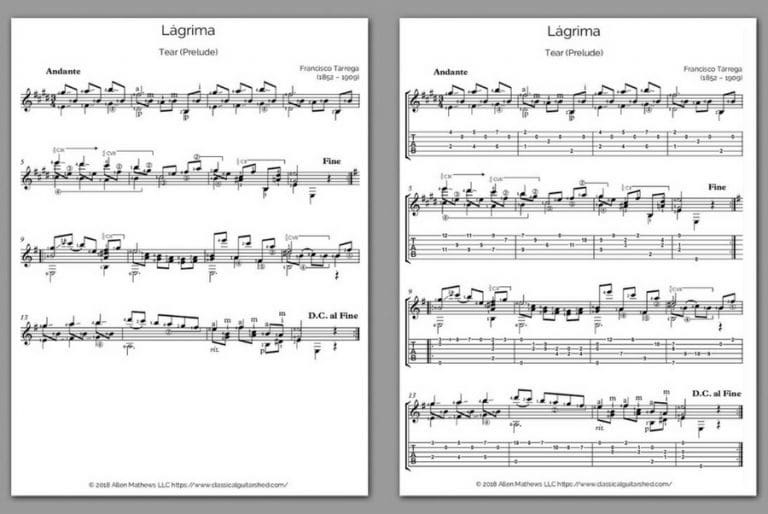 Lagrima use the full range of the guitar, from low to high. 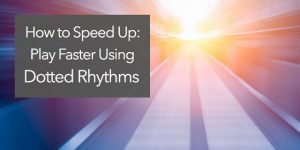 Challenges include shifting smoothly, connecting the melody notes while shifting, and phrasing the tune beautifully. As such, Lagrima is best-suited for players at the intermediate to advanced levels. 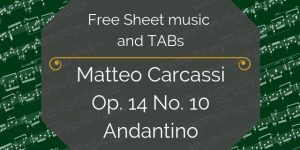 If you put in the work on this one, you’ll have a solid crowd-pleaser you’ll enjoy for a lifetime.